The Friends meet monthly, and all are welcome. We plan our fundraising activities and get to know each other at the Centennial branch, 136 Gilmore Road, in the small meeting room. Meetings are held at 4 pm on the second Tuesday of each month (except July and August). 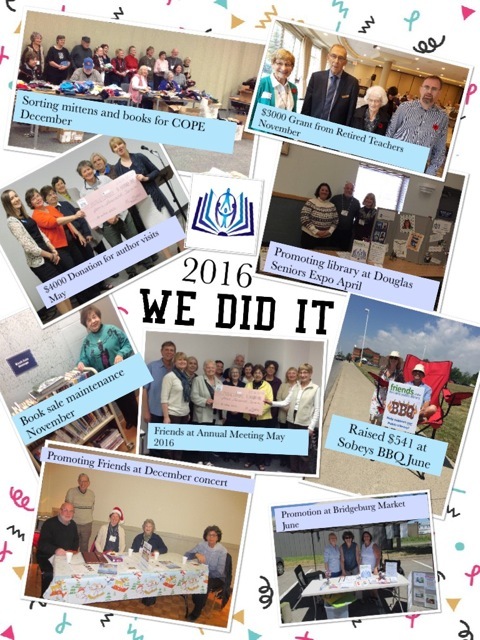 We are one library fundraising and community advocacy group for all three branches of the Fort Erie Public Library system. The Friends hold several fundraising events each year. We have held BBQs at Sobeys, Pasta Night at the Italo-Canadian Club, and others. We promote the library at about six events annually in our community, by having displays at the market, the Douglas Heights Seniors Expo, and other events. The Friends also took part in the fall How-To Festival at the library. Each December we assist in packing donated mittens and books at the library for Community Outreach Program Erie Christmas hampers. Complete this form and return it to any branch of the Library. We are a registered Canadian charity. Donations to the Friends of the Fort Erie Public Library are eligible for a tax receipt. 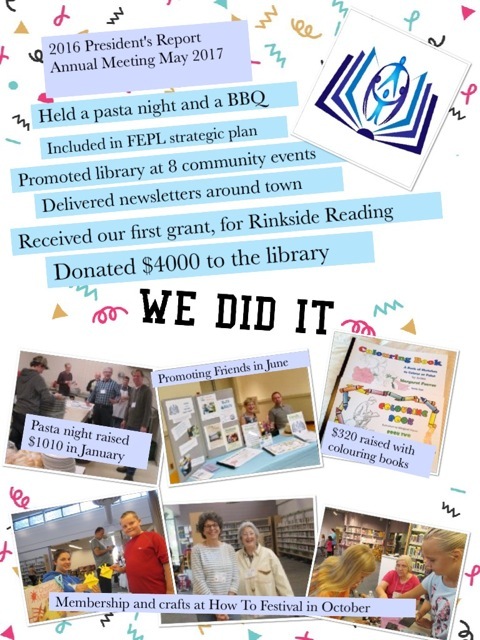 Public support of the library through fundraising is what we’re all about. Our BN/Registration Number is 82481 3976 RR0001. We are grateful for community support of our fundraising initiatives.